Today is a very special day. We are celebrating the fifth year of our partnership with the San Francisco Unified School District and the second year with Oakland Unified School District. 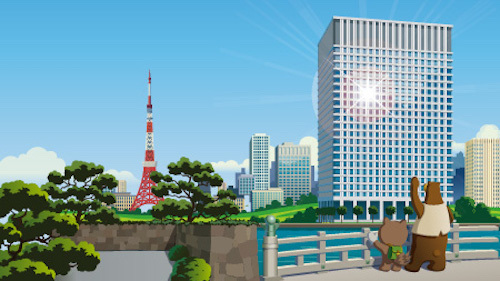 I couldn’t be more thrilled to be part of our efforts at Salesforce to give back to our local education system. There’s nothing more important to the future of our community than making sure we give our youth the best education possible. As a company in the Bay Area, we realized that we could make a significant difference in our communities, especially in the lives of children, with the resources and skills we have at Salesforce. We started with the idea of adopting a local school, focusing on improving their computing skills. 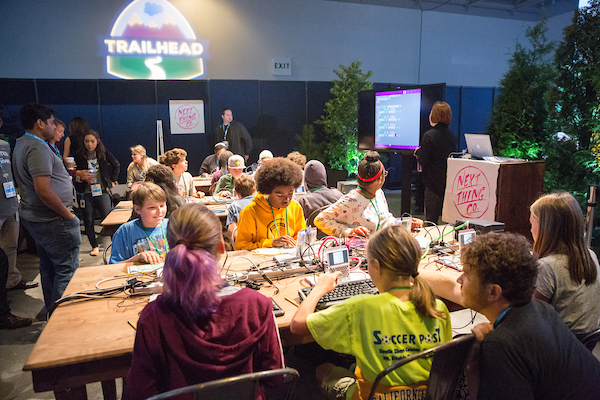 In just the last three years, we have adopted 27 schools in the Bay Area, and more than 1,200 Salesforce employees have dedicated thousands of volunteer hours teaching code and mentoring students. We announced today that Salesforce.org is donating $12.2 million to San Francisco and Oakland Unified School Districts to expand computer science education and access to a quality education for all in the communities where we live and work. Additionally, Salesforce employees across the U.S. have committed to spend 40K hours volunteering in education, doubling our previous school year commitment. To mark the occasion we're hosting a celebration at Visitacion Valley Middle School in San Francisco, recognizing the teachers, students and Salesforce volunteers. Visitacion Valley is particularly meaningful to me, as it is the school the Salesforce technology team chose to adopt in 2014. Over the past several years, our team has formed a true partnership with this middle school. Parker Harris with Visitacion Valley Middle School Principal Joe Truss at a recent school clean-up. With the California high school dropout rate steadily improving over the past six years, we have an opportunity to continue the trend by engaging with students early on in middle school. Through Salesforce’s partnership with San Francisco and Oakland schools, we’ve been able to expand computer science education. Since our partnership began, SFUSD has experienced a 2,000% increase in girls and 6,600% increase in underrepresented groups taking computer science. Our partnership has also provided teacher training and insights into barriers to learning in these districts. I’ve had the pleasure of getting to know Callen Taylor, the librarian at Visitacion Valley, and seeing first-hand the impact she’s having on students and how our partnership is benefiting her students. "I can't tell you how much the kids have looked forward to Thursdays, when Salesforce volunteers came to work with the students on computer science projects. They were excited to see them and developed meaningful relationships with people who cared about them. It’s truly been invaluable for the students," she told me. Not only have these partnerships had a profound impact on the Oakland and San Francisco school districts--with 100% of all middle schools now offering computer science classes, increasing enrollment in those classes from 1% of students to 35%-- they have had a remarkable impact on our employees as well. When our Salesforce Ohana comes together to volunteer at the schools, they know that they are making a real difference in the lives of those students, who are our future. 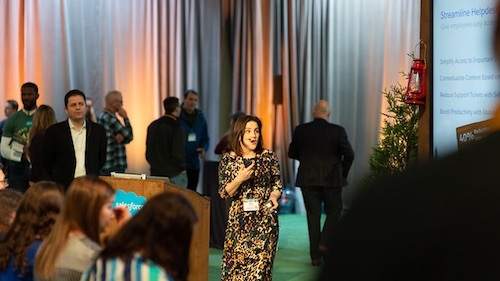 Kim Chouard, a senior product manager at Salesforce, is a great example of how our employees are giving back to the community. With the support of the company’s volunteer time off policy, he combined his passion for technology and education to create Coding Club. It exposes underserved students to technology like programming and 3D printing, allowing them to build amazing projects as well as learn crucial soft-skills that will benefit them in the classroom and workplace. Kim Chouard with students from the Age of Makers club at the maker faire at Salesforce this summer. I'm continually inspired by the administrators, teachers and our employees who are working to improve the local education system. The students also inspire me with their curiosity and passion for learning. We've only just scratched the surface, and I can't wait to see what the next five years bring. Parker Harris, Robin Guido and Kim Chouard look on as students from the Age of Makers club present their projects at a maker faire at Salesforce. 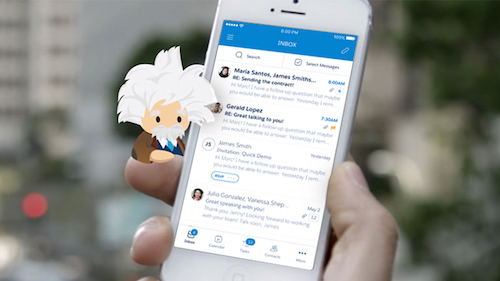 If you're interested in learning more, check out the press release; this blog by Ebony Frelix, SVP of Philanthropy & Engagement at Salesforce.org; or visit the newly relaunched VolunteerForce for volunteer opportunities.